Wherever you live, and whatever the weather, a little preparation can make the change of seasons go more smoothly. 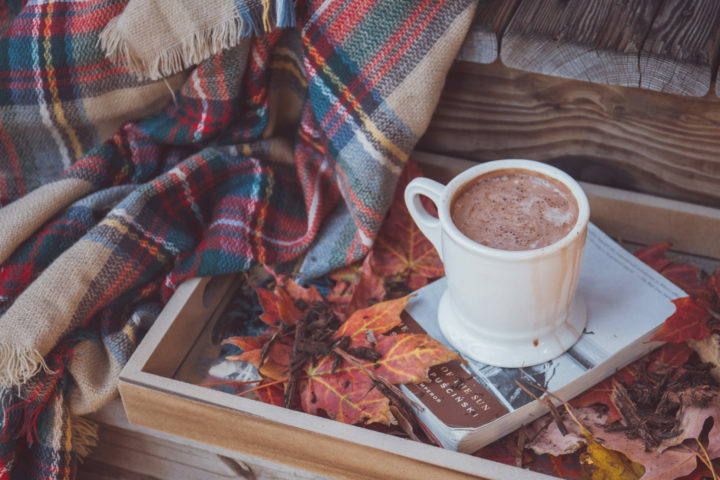 Those of us living in the northern hemisphere will soon be moving from summer into fall, while those in the southern hemisphere are going from the winter months into the warmer season. As we head into a change of seasons, I’ve been thinking about transitions between seasons of life. Whether it’s a season of life or literally a change of season of the year, it’s worth spending a little time to prepare for the changes that come with the change of season. In this episode, I share some ideas for preparing to go into that new season. Change out your clothes and accessories. This is a great time to declutter your clothes and donate or discard clothes you didn't wear this season. Make note of what you'll need to fill out the season's wardrobe for next year, and take advantage of end-of-season sales. If any of the clothes you're keeping need repairs–a missing button? loose hem?–be sure to do the repairs before putting them away so they're ready to go next year. Then pull out the clothes for the coming season and see what you need to supplement your wardrobe. Consider a new hairstyle for the new season! Do you like to go shorter for the summer, or maybe add highlights? Go a little darker for the winter? Make that appointment today. Reflect on how weather changes affect you physically or emotionally, and prepare to ease that transition. Do I tend to sleep more and find it difficult to get out of bed in the mornings? Am I feeling more irritable and more cranky than usual? Am I experiencing weight gain and/or is my exercise regimen falling to the wayside? Am I experiencing more sugar cravings than usual? Am I feeling a loss of energy and feelings of fatigue? Think about new goals and projects for the new season. Make sure your tires have enough tread. Consider snow tires if you live in an area that gets a lot of snow. Save the numbers for your auto club, insurance agent, and towing service into your cell phone. Plan meals. For most of us, tastes change a bit with the change of seasons. Perhaps we enjoy more salads, grilled foods, and other lighter fare in the warmer months, more soups and stews and heartier meals when it's cold outside. Plan ahead now to take advantage of seasonal foods. Change home décor and rearrange furniture. Cleaning and organizing–different seasons are better for different types of projects. For example, the cold winter months might be a great time to take on decluttering and organizing your interior spaces, while the warmer months invite spring cleaning and gardening efforts. Check for upcoming holidays and family events. When will you schedule time for yourself and your important relationships? As we near the end of August and get ready to go into September, what are you doing to prepare for the coming season? Please share your tips in the comments section below this post or in The Productive Woman Community Facebook group or send me an email. Thank you to our sponsor for this episode, Babbel! If international travel is on your agenda for this year, check out Babbel to start learning a new language or brush up on one you already know. Visit BABBEL.com and use offer code TPW to get 50% off your first 3 months!